A preview poster! Thanks to dohanlon for sharing this with us. Apparently, this film is HOT! As international sales companies arrive in Santa Monica, Screen correspondents profile a selection of key titles, at various stages of production, available in the market…Elle Driver will begin sales on journalist Cyril Dion and actress Mélanie Laurent’s documentary Tomorrow looking at ways to tackle the ecological crisis. Other hot titles on its slate include Isabel Coixet’s arctic love triangle Nobody Wants The Night, starring Juliette Binoche, Rinko Kikuchi and Gabriel Byrne; and Benoit Jacquot’s Diary Of A Chambermaid starring Léa Seydoux, both of which are in post-production. Here is the behind-the-scenes video once again, which will have to sustain us until the official trailer is available! Love the poster for this movie. It is so white and pure. It’s a lovely landscape! And what is inside the people who explore the unknown? We have to wait for the movie to find the answers! Hope we don’t have to wait long. Nora, the preview poster tells us things are moving pretty rapidly with this film, so we can hope for a release date soon, I think! I love this: And what is inside the people who explore the unknown? That IS the question. It will be interesting to see their story unfold. 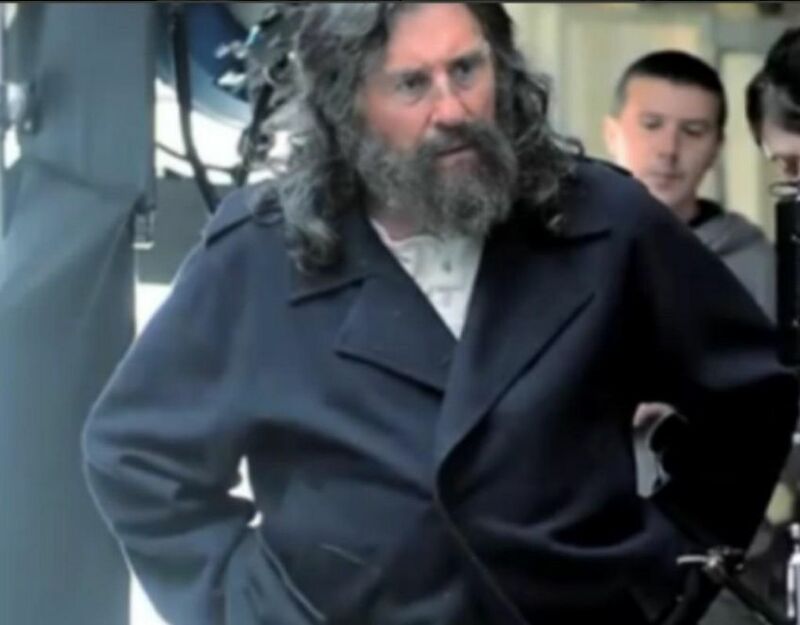 It is rare that Gabriel Byrne portrays a historical character. 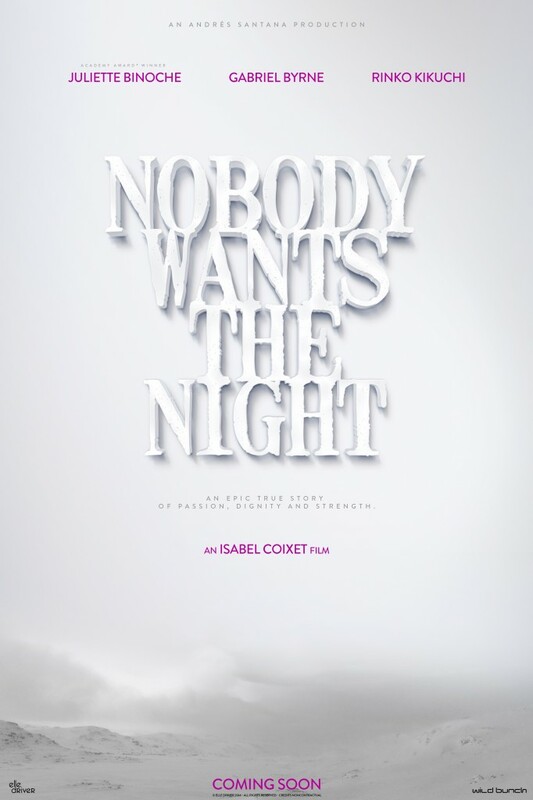 This film , by internationally-respected director Isabel Coixet, provides a unique opportunity for him to tackle something different and challenging. I am really looking forward to this film , since I admire all of the cast and the director for their previous work. I would expect that it will have broader distribution than some of his other recent films. You are absolutely right, Angelle. Mr. Byrne played some historical gentleman earlier in his career–Uther, Byron, d’Artagnan–but he has not done anything like this new film in the last few years. And the cast and director are very exciting, as you say. Let’s hope this movie shows everywhere! I’m looking forward to that one. It sounds very intriguing. 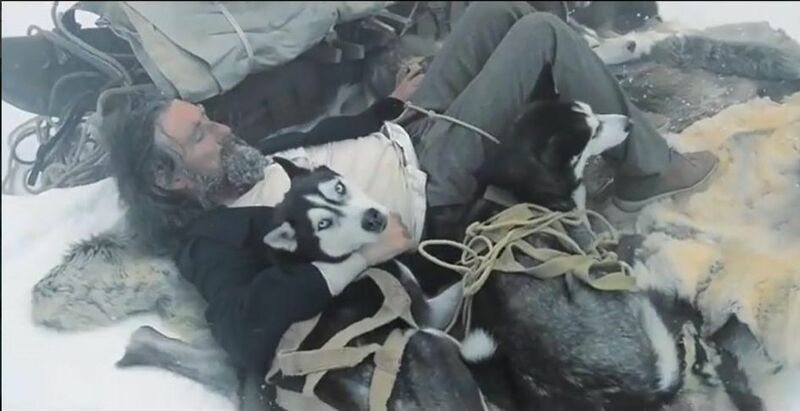 Nice picture with the dogs.